Many people do not have time for looking into what is the real problem is? They will consider themselves this is the problem and directly go searching for the solution. Mainly we Indians have this mentality. While doing like this, we will get the solution but this will not be the ever lasting and cost effective solution. This can be explained in a real story. In the mid of 70’s automotive companies facing major problems with their sound horns. During rainy season water entering into the horns getting carbonated resulting in horn failure. So many horns returned back to the automotive companies. So all the automotive companies searched new manufacturing method for sound horns. They went making iron sealing on the sound horns. Some companies tried with plastic sealing but the result is not much that they are expected. Also cost and time of manufacturing went so high. At the time one conference held regarding TPM. 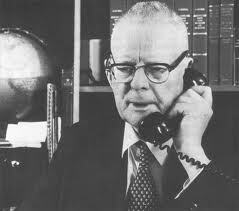 The founder of TPM concepts Dr.W.Edwards Deming’s was leading the conference. At the break time he was answering to the various questions asked by the participants. At that time sound horn problem question came and all automotive people said about the difficulty in horn manufacturing. Dr. Edward suddenly asked the questioner, Tell me whether your exact problem is that the water going inside the horn? Or the water which went inside the horn staying there in the horn and making carbonization? Every one said water staying in the horn is the problem. He replied sharply then please put the hole in the bottom of the horn so that water will not stay inside. All automotive manufacturers shocked with the solution and changed the sound horn manufacturing technology with low cost and high benefits. So from the above incident it is very clear to identify what is the real problem before going to the solution. This will suite to our real life also. So please spend more time for analyzing the real problem then the solution will automatically come. Probably people working in MNC companies know that 8D (8 disciplines) tool of Six sigma in Indian companies are not been so successful as compared to the foreign countries because of this reason only. For people who are not familiar with 8 (8Discipline), It is a problem management tool used in responding to customer issues or returns. The following are the 8 disciplines in the process. When we are doing this project we will finish the D2 within two days. Whereas Japanese and Chinese will take more days in D2 then will come to the permanent solution resulting in the effective process. So please don’t give the solutions which will result in creation of another problem. Make a permanent prevention action.